Dr Penny Stewart, managing director and principal at PETRA Data Science, is a busy person. Nonetheless, in early May, between preparing her presentation for the upcoming Austmine 2017 conference, which will take place in Perth in late May, and catching a flight, she found a few minutes to speak to me from an airport departure lounge. And the reason for our call? 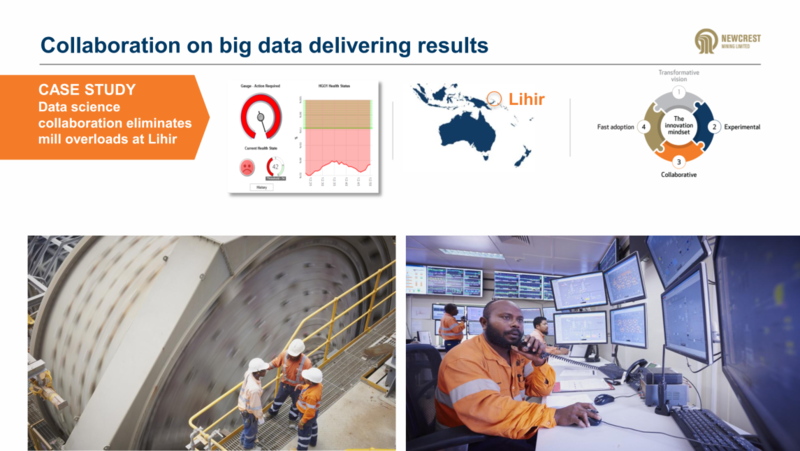 At the start of the year, the company achieved something rather special, perhaps even a world-first in mining: it has enabled Newcrest Mining’s Lihir operation to avoid overload events in its semi-autogenous grinding (SAG) mills (read: unplanned downtime) with the help of machine learning algorithms; something you, our readers, will want to know about. Stewart explained to me how the project came about. “We had worked together before, although this was our first project with the digital team,” she said. This led to further work at Lihir. The mine operates three SAG mills and, in October 2016, Newcrest engaged PETRA to develop overload algorithms for each of the machines. “When a SAG mill overloads and becomes too full, it causes the mill to trip and stop,” Stewart explained. Indeed, every minute of downtime equals lost production, and the power draw (and cost) required to restart a SAG mill is significant. Stewart talked us through the algorithm development process. “We take historical data going back a year or two, in this case it was one year, and we look at the critical signals or indicators related to overload events,” she said. “There is a huge amount of data that comes off a SAG mill – noise is recorded, power, speed, energy consumption and control parameters – there are hundreds of measurements, usually taken at five-second intervals that need to be analysed. Lihir has different levels of response that it deploys depending on the likelihood of an event occurring, and each of the three mills has its own algorithm. “For each one, there weren’t many overload events recorded compared with normal operating data,” Stewart explained, “so it was difficult to identify that tipping point from normal operating conditions into an overload situation. “The algorithms effectively allow the mills to operate at maximum throughput with minimum risk of overload. The main challenge was the quantity of data based on failures compared to normal operating conditions, which made it difficult to predict when these events were going to happen, particularly an hour in advance. Slide from Sandeep Biswas’s Sydney Mining Club address 1st June 2017 http://www.newcrest.com.au/investors/presentations/2017-sydney-mining-club-luncheon-newcrest-presentation discussing collaboration with PETRA Data Science. This success has led to further collaboration between the two companies. “We have created other algorithms for Newcrest as well, and we’re also working on their big data mine-to-mill studies,” Stewart added. 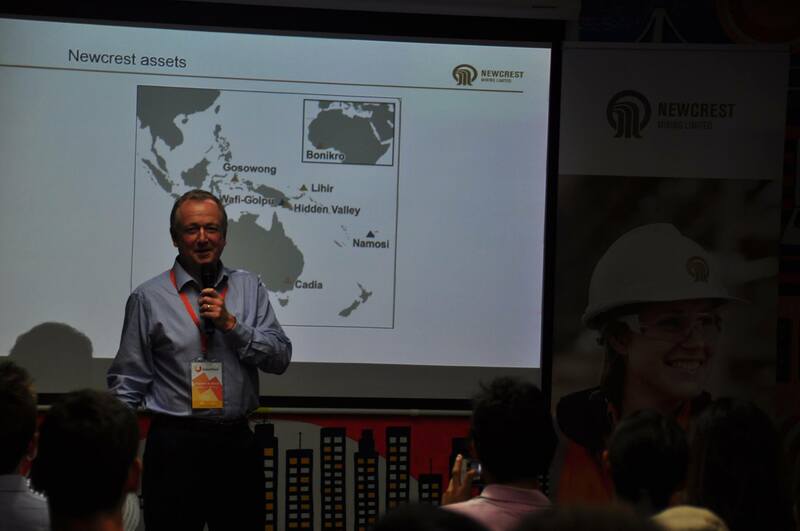 She continued: “Newcrest is one of the first in the world to implement live algorithms to prevent downtime, but as word gets out, I expect interest from the mining community will grow. After all, this is something that can be done on existing systems; you don’t need to spend money on a new platform to deploy these algorithms, they’re platform agnostic. With that, Stewart heads off to catch her plane. And just a few days later, PETRA’s FORESTALL® downtime prediction algorithms were named as a finalist in the Austmine 2017 Awards METS Innovation category. It seems Stewart is right; the company is on to something big here!